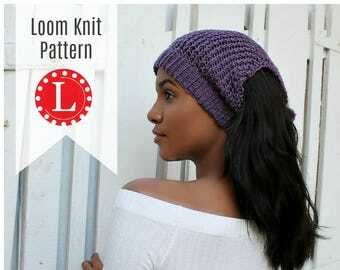 Announcement You CAN knit ! 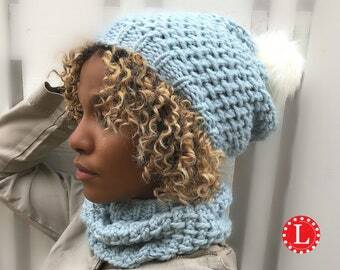 Loom knitting is fun, easy and almost fail-proof and because 99% of the patterns in this store include a link to a video tutorial you CAN do this today! Coupon: Spend $20 get 20% Off use code 20for20. 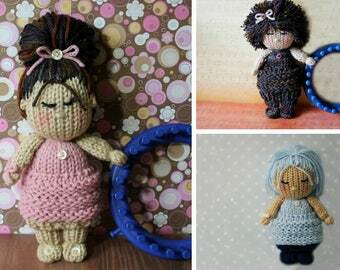 You CAN knit ! 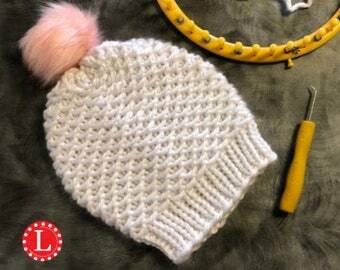 Loom knitting is fun, easy and almost fail-proof and because 99% of the patterns in this store include a link to a video tutorial you CAN do this today! Coupon: Spend $20 get 20% Off use code 20for20. Super easy pattern to follow. 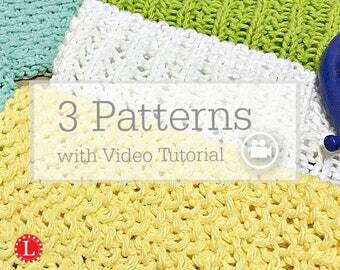 Patterns are easy when you have a step by step video tutorial. 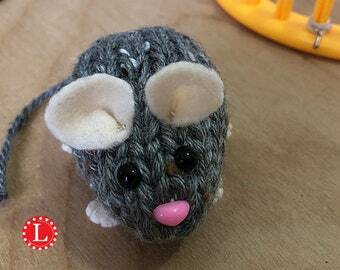 The process of designing a pattern takes, doing and undoing until you love your dolly. 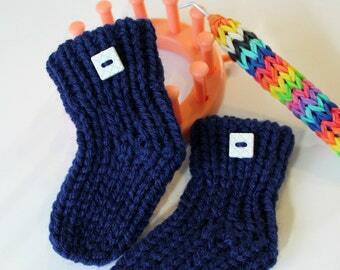 Lots of easy patterns made with the basic 24-peg loom. 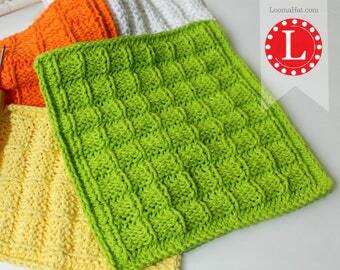 I LOVE the Flag Square Stitch pattern. 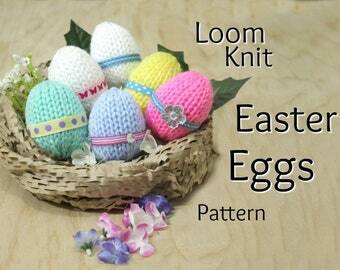 Look for it under Stitch Patterns. 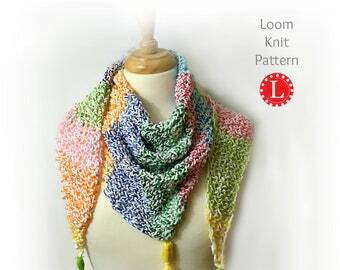 YES YOU CAN KNIT ON A LOOM - I PROMISE ! That's what the sales rep in my local craft store shouted as I walked by her display. 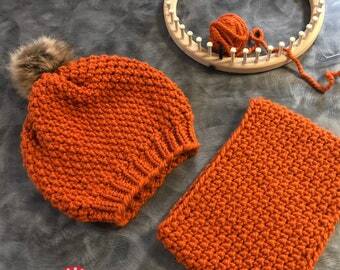 Well I was intrigued since I never got the hang of knitting with needles. Thanks to my attention disorder staying on track and knowing where I left off made knitting painful instead of joyful. But within 10 minutes this angel on the Knifty Knitter payroll proved her point. 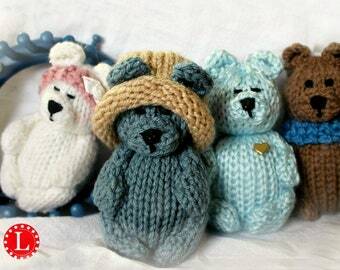 Yes, I was knitting and you can too. 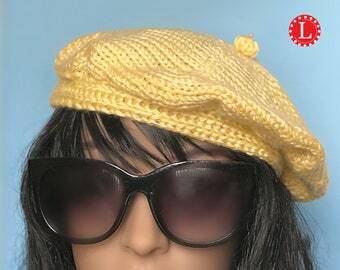 Start with the a simple hat. 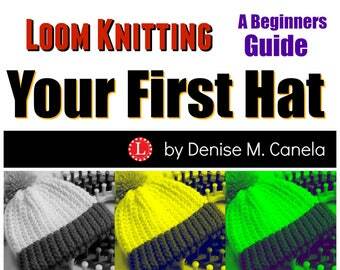 Most people start their loom knitting journey with a Hat. 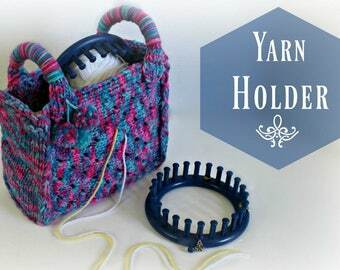 But after you learn to Loom a Hat it's time to step into a world of limitless knitting possibilities. I want to join you in this journey and offer you patterns you, your kids, your friends, family and partners in love and mission can do without a lot difficult to understand instructions. 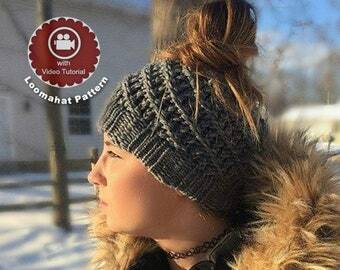 Just clear easy patterns WITH STEP BY STEP VIDEO TUTORIALS because some of us are visual learners. Come Loom with Me ! 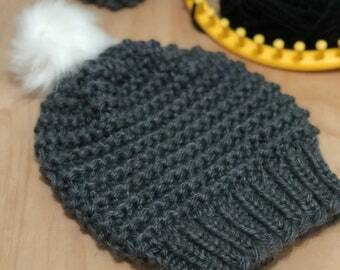 My reason for wanting to learn to knit was to make hats quickly and easily for charitable giving. Loom knitting gave me that gift. It's Fun and Super Easy. 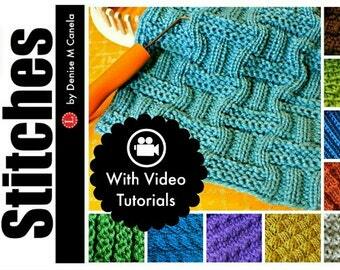 Now I teach & design patterns anyone can knit especially with the help of VIDEO! Welcome ! This shop is in a perpetual building stage. You should find a new easy pattern at least once a month. Most will include a link to a step by step VIDEO TUTORIAL/s to help all skill levels get the job done right. 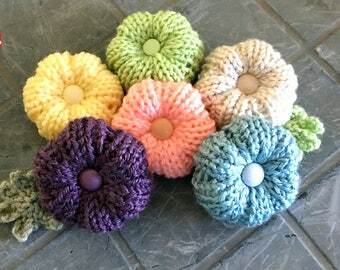 Many of my patterns can be shared with friends, family and any not-for-profit group as long as you don't alter the document, take credit or charge a fee. Please absolutely no commercial use or production for mass marketing. Check the pattern for details. 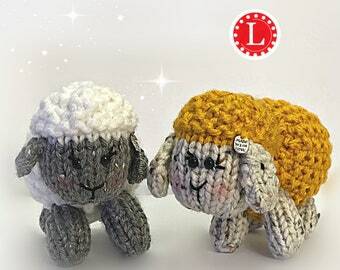 The website has hundreds of free loom knitting pattern so step by , get a pattern, ask a question or just say hello . I always love a virtual visit. Returns will be accepted within 7 days of receiving your purchase and must be in the exact condition it was sent to you. Prior authorization is required so you must contact me. Once the item is inspected and proven to be in good condition, you will receive a a full refund in the amount of the original purchase, less the shipping fee. You also have the option of a store credit. No Refunds on Digital Downloads (Patterns). PAYPAL / CREDIT CARD. If you do not have a PAYPAL account, it is still possible to pay with a credit card: choose the option "Paypal" and then choose the option "Pay by Credit Card." Items will generally ship 3-5 business day after payment is received. Shipping fees are based on the weight of the item in its packaging. Items shipped in the US weighing 13 ounces or less are sent via first class mail. Items weighing over 13 ounces are sent via priority. Shipping does not include insurance unless the value is over $100.00 US. International sales are shipped via first class international. I do not upgrade to express mail service. International customers are responsible for all fees associated with shipping to their respective countries. Orders that are shipped to countries outside of the United States may be subject to import taxes, customs duties and fees levied by the destination country. The recipient of an international shipment may be subject to such import taxes, customs duties and fees, which are levied once a shipment reaches your country. Additional charges for customs clearance must be borne by the recipient; we have no control over these charges and cannot predict what they may be. Customs policies vary widely from country to country; you should contact your local customs office for further information. When customs clearance procedures are required, it can cause delays beyond our original delivery estimates. All international orders will have full value declared on customs forms - no exceptions. Should you have any questions feel free to contact me through the Shop Owner contact button on the sidebar of the shop. If you would like a printed version of the pattern please contact me for a custom order. 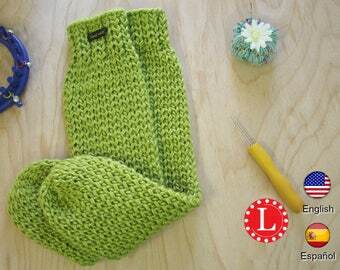 The total cost will include the fee for the pattern plus $1 per page. The final product size is in the description. 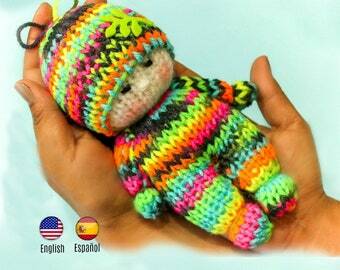 It is based on tested information using a particular sized loom. I don't like to guess on size and so I would not be providing additional sizing information.